We can never hear enough music, or see enough art. 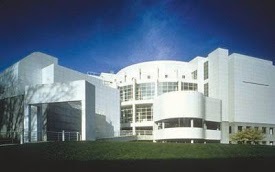 With over 13,000 works of art in its permanent collection, famous traveling exhibitions throughout the year, and award winning architecture, the High Museum of Art is a highlight of our great city and the entire southeast. If you enjoy art, don't miss it. We try to visit at least once a year!